RADIUM was discovered by Madame Marie Curie, who with her husband found the secret four years after being assigned the task in 1892. 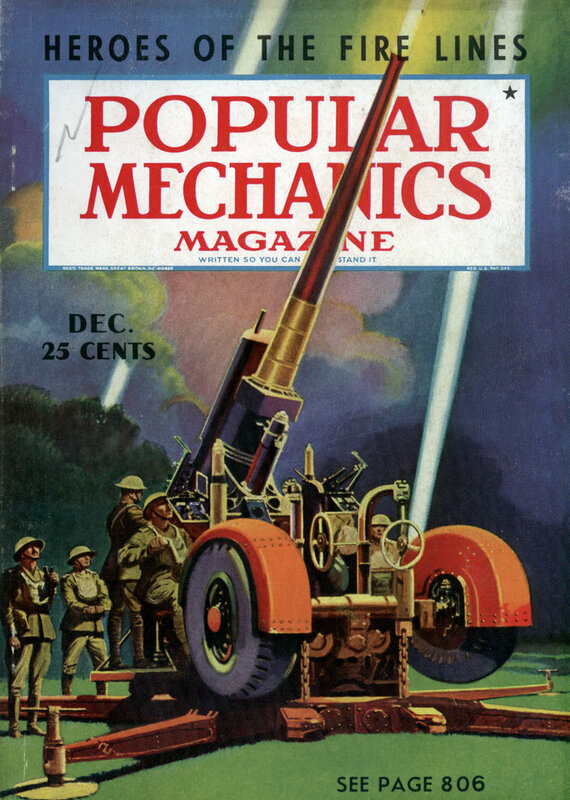 Gilbert La Bine found vast fields of pitchblende, from which radium is extracted, in Canada in 1930, thus assuring the world of a steady supply of the deadly life saver at considerably lower cost than had been possible before. 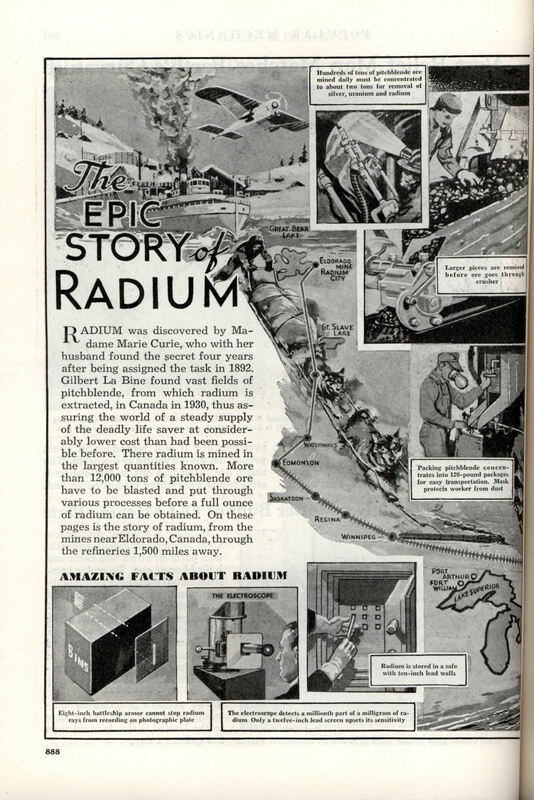 There radium is mined in the largest quantities known. More than 12,000 tons of pitchblende ore have to be blasted and put through various processes before a full ounce of radium can be obtained. On these pages is the story of radium, from the mines near Eldorado, Canada, through the refineries 1,500 miles away. The Eldorado mine was also the source of the uranium that went into the first atomic bombs. Eldorado closed down quite a while ago, but there are still uranium mines in Canada, but in northern Saskatchewan, not in the NWT. I thought is was an industrial accident, not criminal negligence! The Radium Technicians used masks and lead sheilds knowing Radium was dangerous. How could they be unaware what was happening in the paint shop? Charlie, I’m unable to post a link about the “Radium Girls” of the 1920s here or at that photo about the alphabet. I had heard of this but thought it was an industrial accident not gross criminal negligence and coverup and crooked judge! The movie about a woman who thought she had Radium poisoning? “Nothing Sacred” with Carole Lombard and Fredric March. I’m not sure why it’s doing that. Sorry. I think I might need to update Akismet. I’ll check it out.